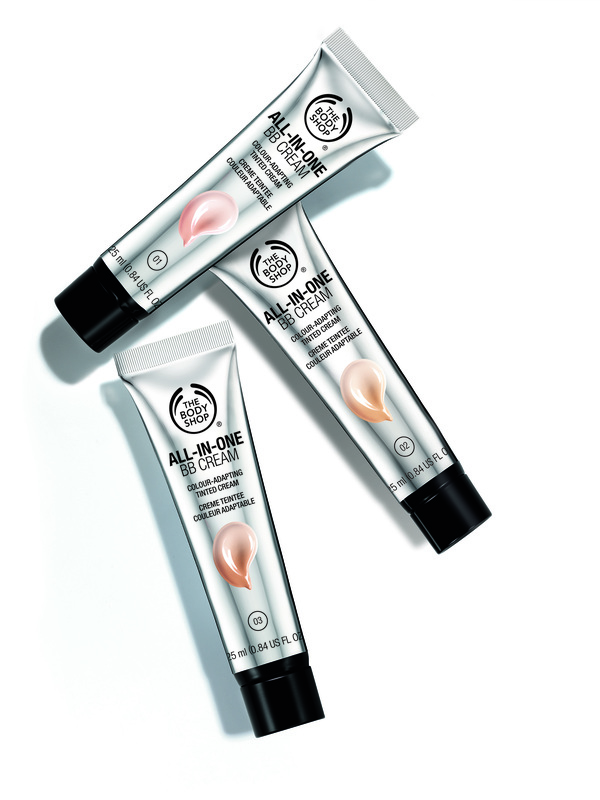 ” The latest product to hit The Body Shop shelves is the All-In-One BB Cream. The innovative recipe features pigment filled capsules that burst when applied to skin, releasing the colour inside, and transforming the pearly white cream to a colour that perfectly adapts to your skin tone. All-In-One BB Cream also provides 24 hour hydration in a lightweight formula, and it colour-adapts for a perfect match and a smooth, undetectable finish. Apply over moisturised skin and see the colour transformation! For increased coverage, use the All-In-One Face Base or partner it with other products in the All-In-One range. Suitable for every skin, the All-In-One BB Cream contains Community Fair Trade marula oil, humectants and vitamin E which work to hydrate skin for 24 hours, leaving it soft and smooth. It also ensures that our Community Fair Trade partners are paid fairly.